Many people are still puzzled about what dog hydrobaths really are and how they can help in taking better care of dogs. 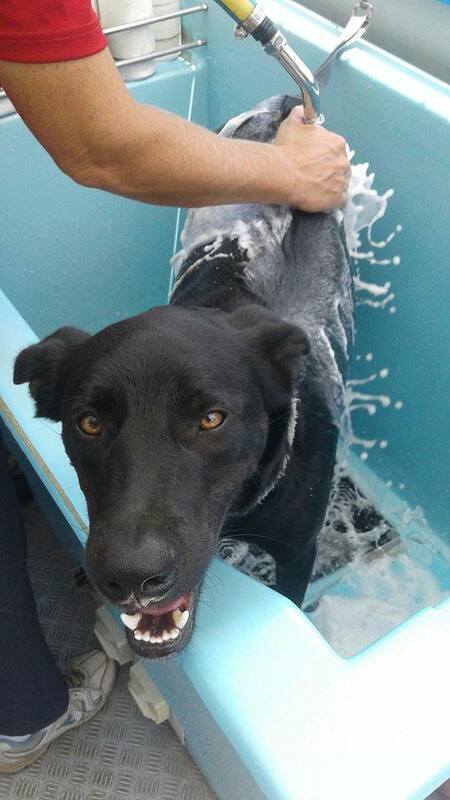 Some may even see it as a piece of indulgent equipment, since bathing dogs can easily be done with a water hose and a friendly soap, depending on the needs of the dogs coat. However, what you should know is that a Hydrobathing dog wash is one good way to take the best care of your dogs coat. To help you unlock the mystery of the dog hydrobath, here are answers to some commonly asked questions along with the needed facts. A Hydrobath is a combination bathtub and power bather that uses a specially designed recirculation pump. This pump produces a high volume mix of water and shampoo delivered powerfully enough to penetrate the thickest coats, yet gently enough to massage the skin. 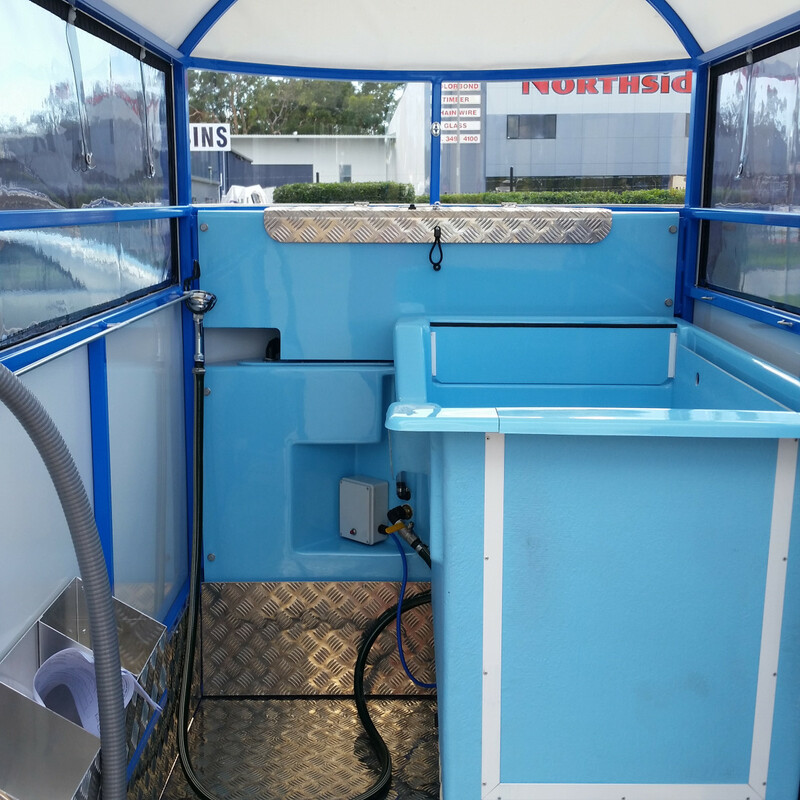 The Aussie Pooch Mobile dog hydrobath uses only 20 litres of water per dog wash, which is a vast saving on water usage than the traditional home bathing using the backyard hose. Because the solutions are added to the water collection tank they therefore mix with the water and are sprayed at pressure penetrating through the dogs coat and onto their skin where most problems occur. Depending on the solutions used they may help cure or prevent skin infections or kill fleas or other parasites. 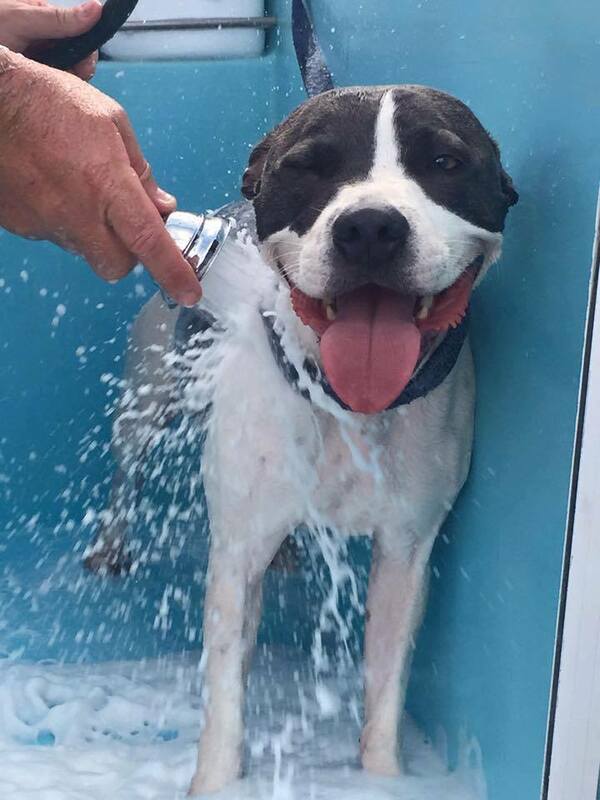 A hydrobath dog wash with warm fresh water (Aussie Pooch Mobile dog hydrobaths all have heating elements which can be used to preset the temperature of the water) can help prevent arthritis through the massaging effect of the hydrobath. Not only that but you do not get wet and your bathroom is left clean and dry. Dog Hydrobaths, when used correctly, achieve great results in curing skin disorders and promoting hair growth. The proof is in our customers comments. Dog Hydrobaths guarantee a cleaner feel to your pets, whatever breed they may be, as there is no such thing as a thick coat with the penetrating ability of this equipment. 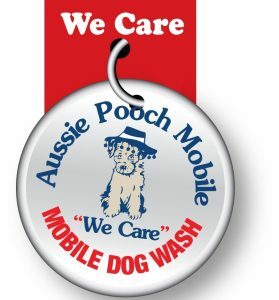 Aussie Pooch Mobile operators are extensively trained in the operation of the baths in order to achieve and maintain the best well being of the customers pets. 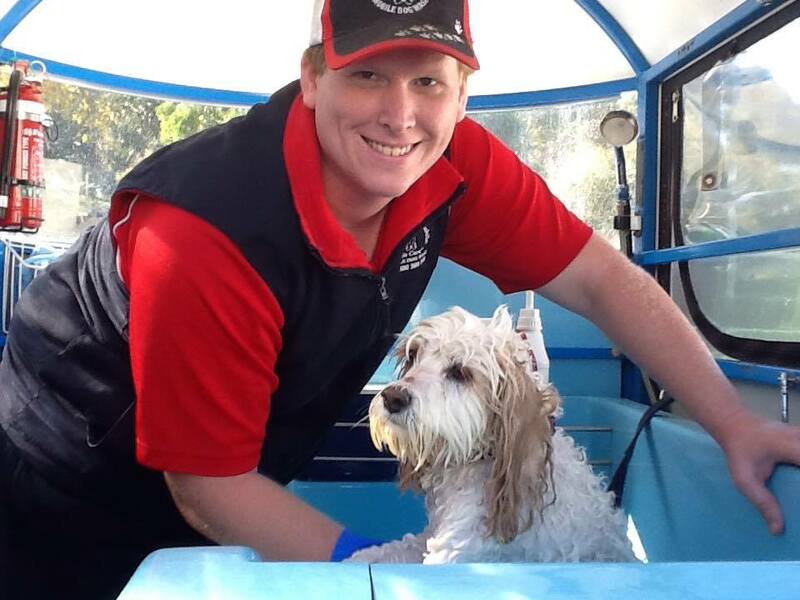 What is included in our complete dog wash service and how to arrange a booking!